Hypoid gear is among the most important innovations in the automotive industry in the twentieth century. On February 8, 1926 the Packard Car Co. for the first time in the world used hypoid final drive. This innovation Packard would not have been possible without the development and improving of the company Gleason Works, Rochester, created lathes for cutting hypoid gears. Thanks to this cooperation eliminating howling gears in cars. Today this unusual sound can only be heard when driving a car in reverse on manual gearbox, where as before are used gears with straight teeth, and in some racing gearboxes. 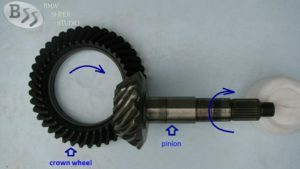 In hypoid gears, unlike other bevel gears, the axes of the ring and pinion do not intersect in one plane and not fits geometrically, they cross. Due to that form of extended contact area of the teeth of the two gears, it is possible to make larger and stronger, which allows the transmission of more force in gear. 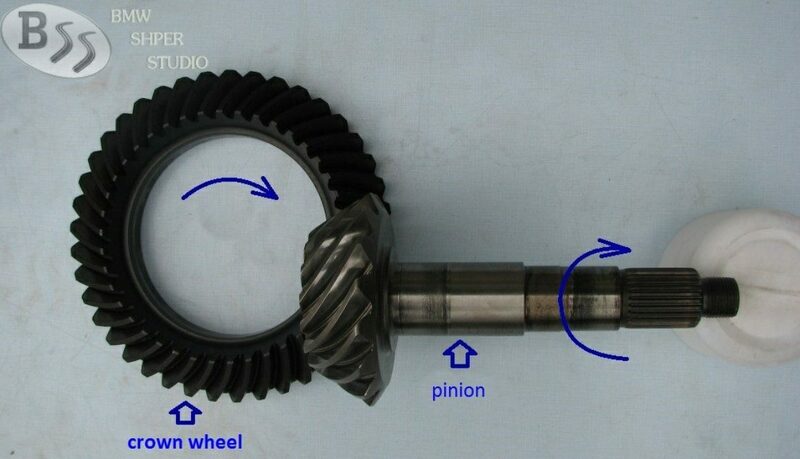 The transition the axis of the pinion below that of ring allows to lay drive shaft down, to lower the center of gravity and make the floor in the car equal. Hypoid gears is quiet and has a high efficiency and therefore remains irreplaceable already 90 years.